As Baba says everything in nature itself is a miracle if looked at carefully as to how intrinsically each and everything in the Universe functions. It is amazing to even ponder on the "automatic" functions of even the smallest thing invisible to us to the visible gross forms to the largest things hidden to our eyes and minds, every bit is a miracle. This automatic mode is what makes us all part of that miracle. This picture reminded me today how even you and me are miracles. The baby and all it's "automatic" functions are the flow with life, the surrender. i realize that babies are wholesome miracles because they are fully on auto-pilot until they learn something externally. Slowly the miraculous part part of the human starts shrinking once it's own identity and ideas are generated. However, that miraculous quality, though shrunk in quantity and quality, can never completely be eradicated for i sense that little flame is the essence of the soul. It just gets buried under mucks of thoughts and ideas which gives oneself a separated identity and a feeling of separateness from existence. This probably is what is put in the spiritual dictionary as ego, out of which stems the ignorance. Then, comes the Guru, to uncover one from the mud and help oneself out of the heaps of self-created miseries. Baba always says that nothing is a miracle but simply the way of life, which He rightly calls the ShivYog way of life. Following ShivYog one begins seeing sunlight through the thinning heaps of mud which we call as a miracle. 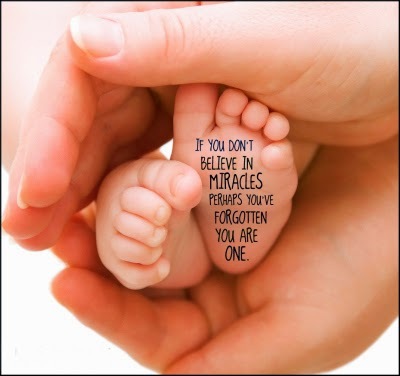 The more one wriggles out, the more so-called "miracles" happen. We are awed by our own light! Because we forget that we are light. This picture reminded me of the same and am humbled at realizing now why Baba, being himself a miraculous light, lives as though all the mysteries and wonders are the simple normal ways of life, the smallest knowing of which can widen our eyes to infinity. That is why we need light to show us light. Thanks to the Creator that there is a light for us who can resonate at that high level and so also stoop down to our levels to make us understand our own quality! He is the Guru, the dispeller of darkness. 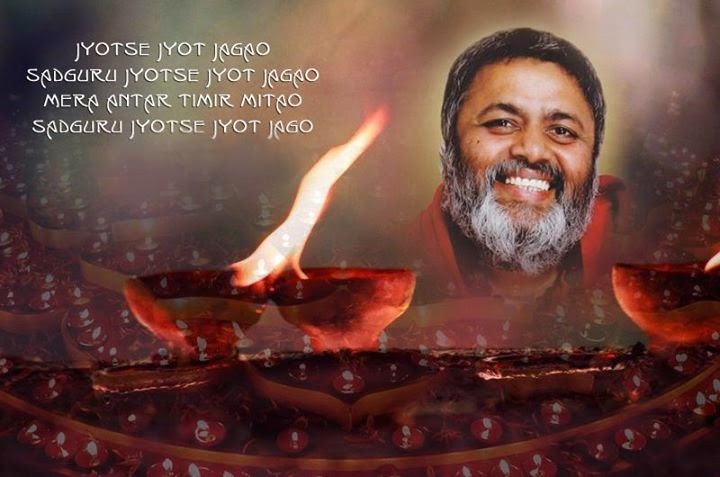 Namo Namaha _/\_ Divine Love and Light!